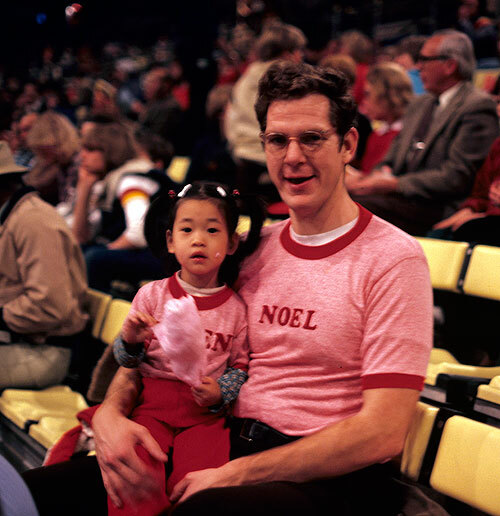 This picture was taken in either 1978 or 1979, in the days when it wasn't dangerous to put your kid's name on their clothing. BU was not yet in the narrative. The photo on your web page today is actually from March 1980. We left you in the care of a babysitter whose name I do not recall but she lived on N. Owen. Ellen was feeling a bit neglected since your arrival in January 1980 so we took her to the Ringling Brothers Circus at the DC Armory.